The Rubbish Diet is challenging people to do their spring cleaning without throwing anything away and for anyone wanting to take things further Zero Waste Week 2014 is coming up where the challenge is ‘to do one more thing’. I did the Rubbish Diet back in January / February time (see more about that here) and it involved receiving a series of 4 emails over the course of a month full of hints and tips to slim my bin! It has been expanded slightly since I did it though and now anyone signing up will receive 5 emails over a series of 5 weeks. They have a great challenge on at the moment which is to do some spring cleaning without throwing anything away. 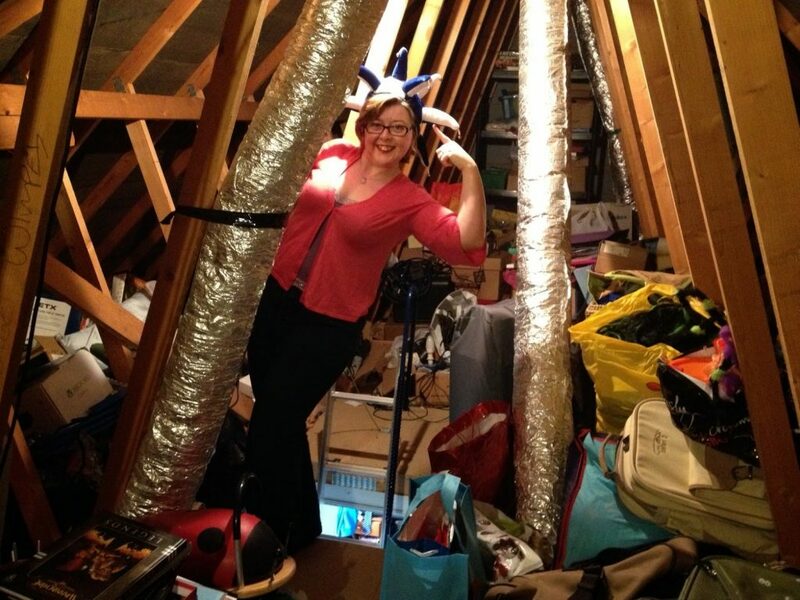 Karen who founded the Rubbish Diet has challenged herself to clear out her loft without throwing anything away. As you can see from the picture it is a rather large job and you can read more about how it is going here! I still haven’t achieved zero waste though and that is why I need Rachelle Strauss motivating me to do ‘one more thing’! That is the theme of her Zero Waste Week which this year will take place between 1st and 7th September. She asks us to ‘sign up to pledge, receive monthly emails and receive prizes’. I have Plastic Free July coming up (where I have pledged to avoid using single use plastic for the month of July), which I’m hoping will take me very close to zero waste, but there is always more I can do and it is a great reminder to stay on track. If you are thinking it is time to reduce the rubbish coming out of your home, the Rubbish Diet and Zero Waste Week are great resources there to help with making a start at reducing your rubbish and I highly recommend signing up to them! Don’t wait for a government initiative, or for other people you know to do something – lead the way, show everyone else how it is done and not only will you reduce your rubbish, you may well inspire others to do so as well! If you are interested you can sign up to the Rubbish Diet here and to Zero Waste Week here. This entry was tagged eco, Frugal, Green, pollution, rubbish diet, sustainable, thrifty, zero waste. Bookmark the permalink.